NYU Langone Hospital no longer allows the free kosher food deliveries of Satmar Bikur Cholim. NEW YORK— For years, volunteers from the Satmar chasidic movement have fanned out daily across the city, boarding private buses and carrying bags full of kosher food cooked each morning (except Saturday) at the organization’s commercial kitchen in Williamsburg, Brooklyn. There is no charge for the food, nor is it limited to any particular type of Jew. The food is fresh and the servings are ample. Members of the Satmar Bikur Cholim go to a dozen hospital and rehabilitation centers, bringing food and paying a quick visit to any patient who requests it. The volunteers also provide specific recommendations for doctors and rehabilitation centers, when requested, and the organization can provide financial assistance to needy patients. But at one of New York City’s largest and most-respected hospitals, NYU-Langone Hospital in Manhattan, the volunteers are no longer welcome. “For the safety and privacy of our patients, we have limited outside volunteers, vendors, delivery people and other non-visitors and staff from going directly onto patient floors and into patient rooms,” NYU-Langone spokeswoman Lisa Greiner said in a statement. She did not respond to a question, repeated multiple times, about what specifically prompted the policy change. Greiner said that the policy isn’t specific to Satmar Bikur Cholim, though members of the group insist it is. They say that the NYU health system’s approach to end-of-life care has changed and conflicts with the Orthodox Jewish approach to issues surrounding ending life support and administering palliative care — and the hospital doesn’t want observers witnessing decisions that to Orthodox eyes may fall short of extending life by any means available. Over the three-day holiday that included Shabbat and Shavuot last week, circulars widely distributed in Brooklyn Orthodox neighborhoods warned that Jewish patients would be risking their lives by going to NYU-Langone. The main NYU-Langone hospital is located on Manhattan’s East Side and is a quick drive from haredi neighborhoods like Williamsburg, the headquarters of the Satmar community. They group serves anyone who calls and most of their recipients are not chasidic, said the Bikur Cholim director. Greiner did not respond to a request for the names of the Jewish liaisons at its main hospital, and that information was not found on its website. The Satmar Bikur Cholim director said that they have had a longstanding relationship with NYU-Langone’s Orthodox Jewish chaplain, but suddenly he has stopped returning their calls. Although Halachah, or Jewish law, is complex when it comes to end-of-life issues, it essentially includes the premise that as long as the heart continues beating, a patient is considered alive. That brings Jewish law into conflict with medical professionals who want to remove brain-dead patients from life support or to not introduce a feeding tube for a terminally ill patient who is considered close to death. For example, said the Bikur Cholim director, “above a certain age, over 60, you won’t get a feeding tube no matter what” from NYU-Langone physicians who say the patient’s situation is irreversible. “The problem is that the interests of the patient and the community aren’t aligned with the interests of the hospital. They don’t want to have the patients influenced by the Satmar Bikur Cholim,” said Seskin. “I would not be comfortable to go there as long as this question [of why the policy changed] remains unanswered,” the RAA’s Mirocznik told JTA. “The frum [Orthodox] community is very close knit and word travels faster than the internet. 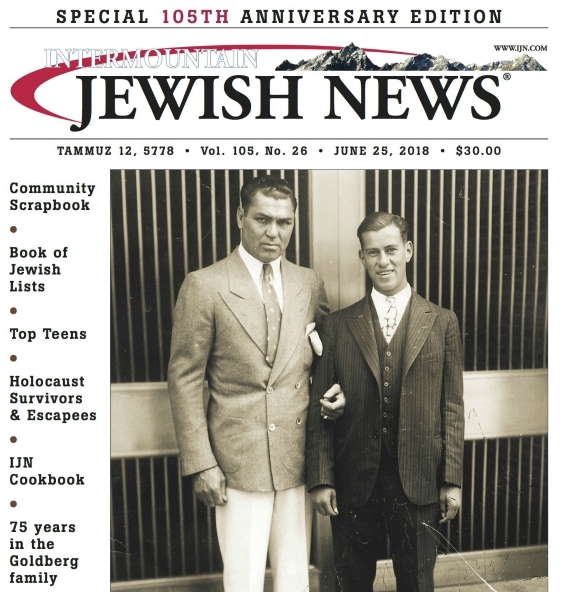 News gets from one corner of Borough Park to Lakewood in 20 minutes,” he said, referring to haredi Orthodox communities in Brooklyn and New Jersey. NYU-Langone is one of the largest hospitals in New York City, with 27,000 inpatient visits, nearly 127,000 outpatient visits and 42,000 patients in the emergency room at its main hospital on Manhattan’s First Avenue, in 2017, according to the New York State Department of Health. NYU-Langone has other hospitals in its network, including the orthopedic Hospital for Joint Diseases, Bellevue Hospital and the branch in Brooklyn. Altogether, NYU hospitals had close to 70,000 inpatient stays in 2017. A Jewish chaplain at another area hospital suggested that members of Bikur Cholim may themselves have crossed a line between providing information and interference. Disagreements over end-of-life care point to a conflict between the decisions doctors sometimes make — based in part on a patient’s quality of life and the hospital’s use of resources — and the premium Halachah places on preservation of life. “There is a major, major ethical challenge that has developed over the last decade. Futile care was never a major factor in bioethics,” said Rabbi Moshe Tendler, a world-renowned Orthodox medical ethicist at Yeshiva University. “Doctors are more deferential to patients than they used to be,” said Caplan. “Read the medical literature just this last year, what emphasis is being placed on the psychological welfare of the patient as it impacts the disease,” Tendler said. While I appreciate all that the satmar biker Cholim does for patients, patient advocacy should be a complete different program. If a patient requires advocacy they can call and it can be done by phone. The issue is that satmar bikur Cholim interferes where the families do not ask. Perhaps even manipulate and brainwash family members to do as they think is right. They also bring food to people that don’t ask, which is nice -but also makes them privy of hospital information. Perhaps I would like my hospital visit discrete and unknown to the community. Agudah’s Chayim Aruchim works with the staff of hospitals and palative care institutions to end the life of your loved ones “with dignity”. The controversy of end of life care is being debated by opposing forces. One side believes they must adhere to understandings developed millenia ago… in a time that, without benefit of antibiotics and such, saw people dying quickly from their maladies….usually at home – without burdensome choices. Needless to say – today – with so many intereventions available…WE PROLONG THEIR DEATH. Prolonging death is NOT a viable alternative to “AND” – Allowing Natural Death. Are we allowed to interfere with someone’s death? Open a window vs close the window, cry by their bedside, adjust their pillow??? If we prevent them from dying by introducing meds, tubes, machines, etc….what are we actaully doing? To say as long as their heart beats…well, if you don’t interfere..tubes, etc…might their heart not stop – and if it does…That would be Hashem’s plan….after all – either one believes Hashem is in control …or you don’t. By intervening – are we not playing G-D…hoping to keep this patient alive LONGER – LONGER THAN HASHEM has dictated by appointig this person to experience whatever they are experiencing. Either Judaism firmly believes Hashem is in control…and decides Who shall live and Who shall die…OR we humans interfere using new found means and deliberately PROLONG that which Hashem ordained.